Yes, we're still very much obsessed! 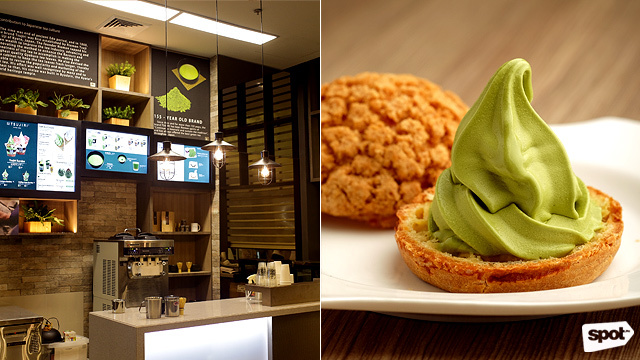 (SPOT.ph) Matcha has long proven itself to be more than just another trendy flavor. 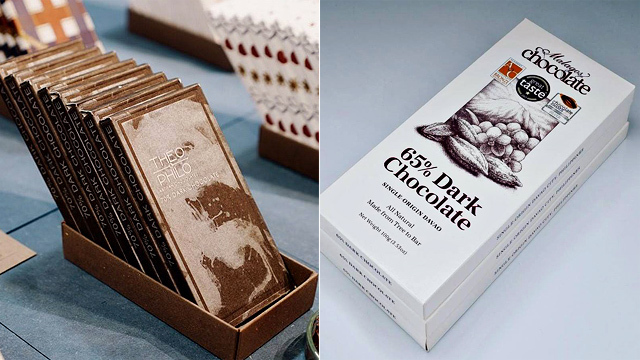 This traditional Japanese ingredient has become ubiquitous in the Metro, thanks to sweet, earthy notes that perfectly complement all kinds of desserts and drinks. Nowadays, almost every coffee shop and bakery has at least one matcha offering, whether it’s a latte or a cake, so matcha fans are spoiled for choice. 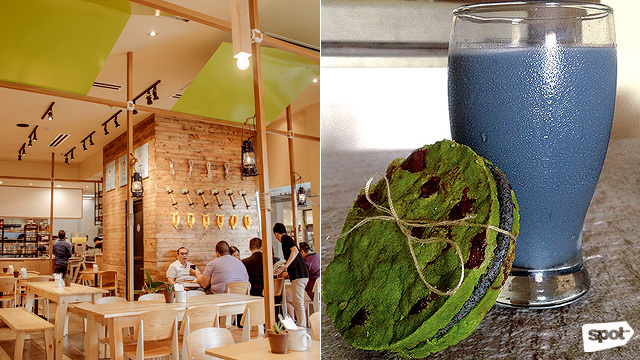 To help narrow down your search, here's a quick list of 10 places where you can satisfy that matcha craving. This hole-in-the-wall café located along the busy street of Tomas Morato specializes in kakigori, a type of Japanese shaved ice dessert. It’s like halo-halo, as the shaved milk ice is topped with all kinds of mix-ins like ice cream, adzuki or red beans, and shiratama or glutinous rice balls. One of their bestsellers is the Matcha Kakigori, shaved milk ice drizzled with a green tea syrup and topped with matcha ice cream. The green tea’s earthy flavor is balanced with crunchy bits of sweetened adzuki. 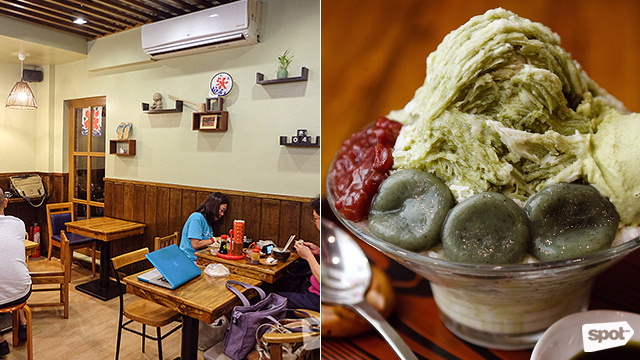 Ikigai Kakigori Café is at POS Building, Scout Mandriñan corner Tomas Morato Avenue, South Triangle, Quezon City. Matcha lovers in BGC will be happy to know that there’s a café in their neighborhood where they can satisfy all their green-tea cravings. Nomi Matcha gets their tea leaves from Kyoto, which they then use in all sorts of things, from traditional tea to iced drinks. The Matcha Refresher, for example, combines green tea with lime and calamansi juice. Pair any of their drinks with their signature Legendary Greenies, or moist brownies made with matcha powder. From the name itself, you can tell that The Dessert Kitchen is heaven for your sweet tooth. They've got all kinds of Asian-inspired sweets, including those that use matcha. 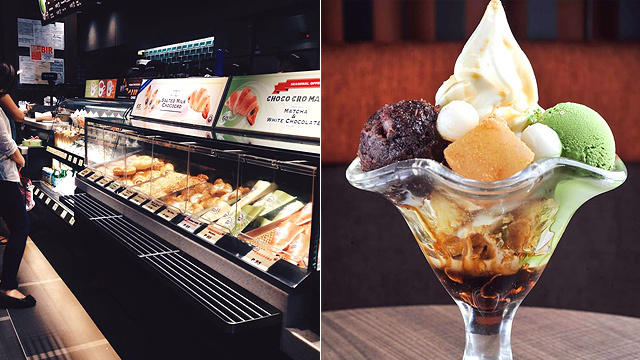 There's a lot to choose from: You can get your fluffy Eggettes or bubble waffles with a scoop of green tea ice cream. Their Taste of Uji is a tall and gorgeous glass of red bean, soft serve, green tea syrup, and mochi, while if you're just in the mood for something light and refreshing, you can choose between Green Tea Milk and Green Tea Milk With Red Bean. The Dessert Kitchen is at 3/F Power Plant Mall, Rockwell, Makati City, G/F Robinsons Place Ermita, Ermita, Manila, and G/F UP Town Center, Katipunan, Quezon City. Scout’s Honor serves a wide variety of cookies in different flavors, but their two matcha cookies take the cake. There’s the Sesame Matcha Cookie, which sandwiches sweet black sesame buttercream and chocolate chips in between two thin pieces of green-tea shortbread. There’s also the Matcha Miso S’mores, which uses two classic Japanese ingredients in the traditional American treat. 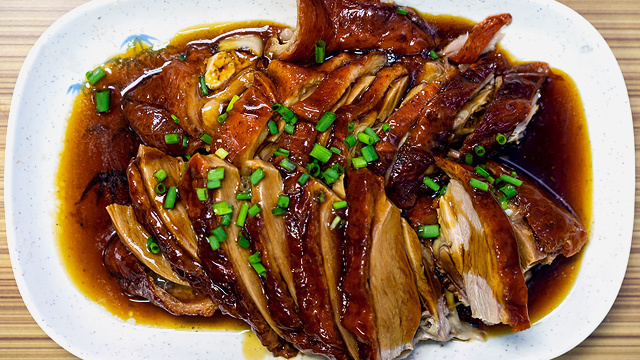 The miso’s savory flavor helps balance out that distinctive earthy taste beautifully. Scout’s Honor is at Hole in the Wall, 4/F Century City Mall, Makati City; and G/F Ayala Malls Vertis North, Quezon City. 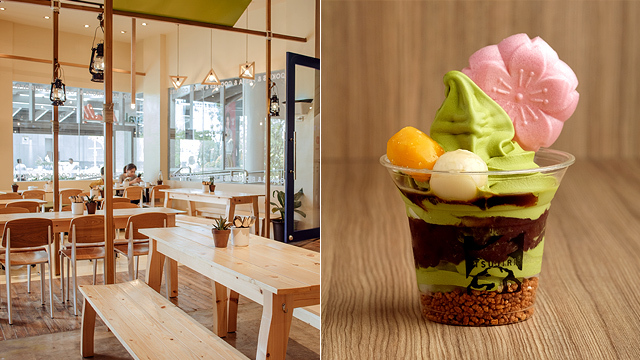 Even this dessert café from Seoul is not safe from the matcha craze. 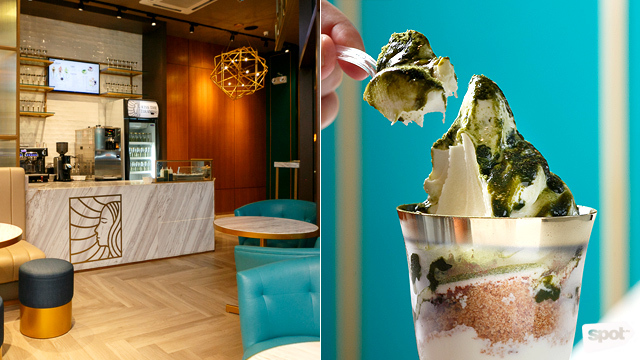 Their Matcha sundae is a green-tea riff on their Original tiramisu-flavored treat, with matcha sauce and matcha powder on top of mascarpone-cheese soft serve and dark chocolate shavings. 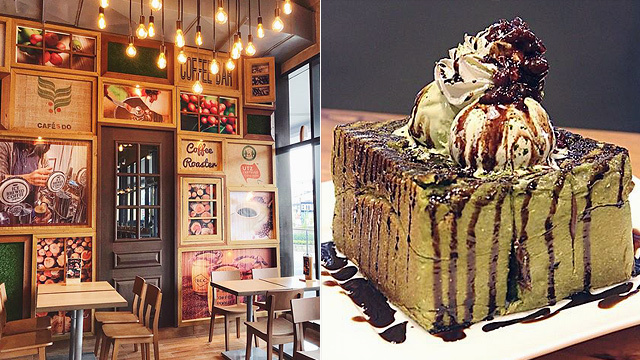 They also offer a decadent Matcha Cake with soft layers of green-tea sponge cake and a Matcha Pancake or layers of green-tea pancakes and sweet cream, both of which you can pair with a Matcha Latte. You might immediately find yourself in a state of Zen once you enter Zaan Japanese Tea House. This café is decked out like a traditional Japanese tearoom, with wooden tables, bamboo fixtures, and Japanese sliding doors. 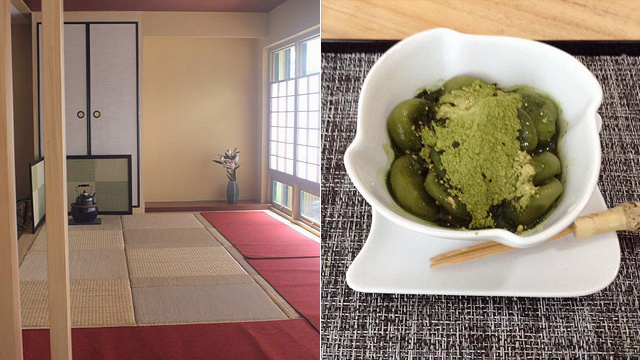 There’s even a tatami area where they hold traditional tea ceremonies, complete with bowls and whisks. Make sure to try out their Matcha Latte, which has a mildly sweet taste that doesn’t overpower the green tea’s natural flavor. Zaan Japanese Tea House is at G/F Norfil Foundation Building, 16 Mother Ignacia Avenue corner Don A. Roces Avenue, Quezon City. Although they’re best known for their signature Choco Cro, a buttery croissant stuffed with a decadent chocolate filling, Saint Marc Café does offer some great matcha items on its menu. Its signature croissant, for example, has two matcha variants: You can either get it in plain Matcha or you can get a Marble Cro, which pairs the earthy flavor of green tea with sweet white chocolate. If you’re more into cold desserts, check out their Matcha Milk, which recently made our list of best matcha desserts in Manila. See a list of Saint Marc Café branches. Matcha plays a big role in this French-Japanese concept restaurant by chef Miko Aspiras. In fact, you can find matcha powder right alongside salt and pepper shakers on your table! 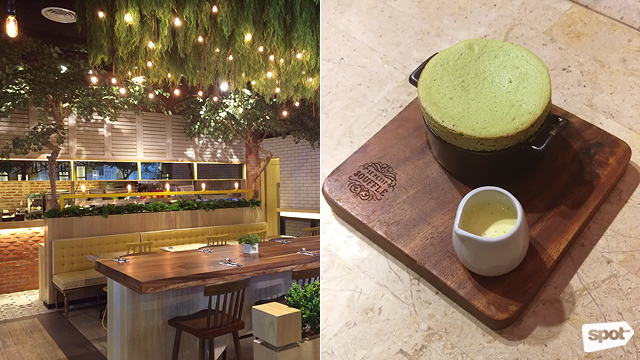 Check out their Matcha Soufflé, a Japanese take on the classic French dessert. The earthy flavor of the green tea provides a great contrast to the normally sweet treat. There’s also the Cold Matcha Latte with Matcha Softee, which pairs creamy matcha tea with a generous serving of green tea soft-serve ice cream. Coffee may be the first thing you think of when someone mentions UCC Clockwork, but matcha is also a star on their menu. Their Matcha Latte is subtle compared to other cafés, but it still has that earthy flavor that we’ve learned to love about matcha. Pair it with any of their signature matcha desserts, like the Green Tea Sansrival, which replaces the classic buttercream with a matcha-flavored one. When a brand has been around for more than 150 years, you know they must be doing something right. Such is the case with Tsujiri and their matcha. 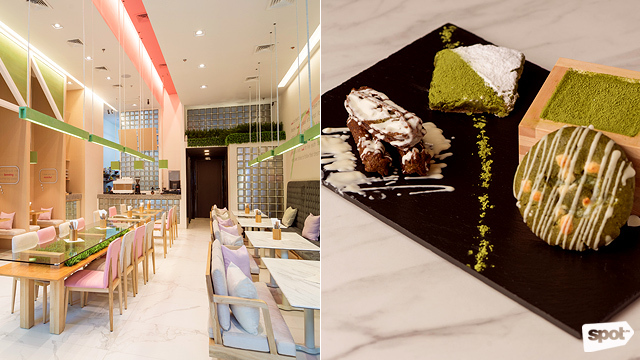 Not only do they serve traditional, no-frills matcha tea, they’ve also branched out with more experimental desserts like their Citronne Matcha Cake, matcha cream sandwiched in between soft layers of matcha chiffon cake and topped with a calamansi glaze. The result is a sweet and tangy dessert that’s perfectly rounded out by the familiar earthiness of green tea.